Living in a rented apartment or working out of a leased office space has their own set of pros and cons. While nothing belongs to you practically out there, you still need to install basic comfort equipment. HVAC contractors in Toronto have to deal with a whole lot of clients who ask queries and insights into installation of boilers, furnaces and air conditioning units in rented spaces. From boiler installation Toronto to replacement guide, there are many things to keep in mind. Safety, legal policies and compliance regulations… give yourself a 36-degree perspective with this short boiler installation guide. Boilers and HVAC systems now come with extensive insurance policies. They prevent unnecessary cost of replacement and damage, in addition to ward off any chance of legal hassle. It is an excellent option for both landlords as well as tenants. Now maintain the desired heating and cooling system without getting into any legal hassle or business interruption. HVAC contractors Toronto offer a 90-day cycle on safety checks and maintenance so as to ensure that the HVAC units are running in top condition, and resort to safety and emission control guidelines. Government regulations in Toronto and elsewhere in Canada require approval from the authorities for any installation work pertaining to gas or oil-driven units. Appliances running in gas and oil have a high risk of catching fire, and causing building damage. If you are planning to install a gas furnace or a water heater boiler in a rented space, get the approval of your landlord and public safety officer. HVAC contractors in Toronto provide inspection services for boilers, pressure vessels and pressure piping systems for office as well as residential units. Free services to landlord, and not tenants! 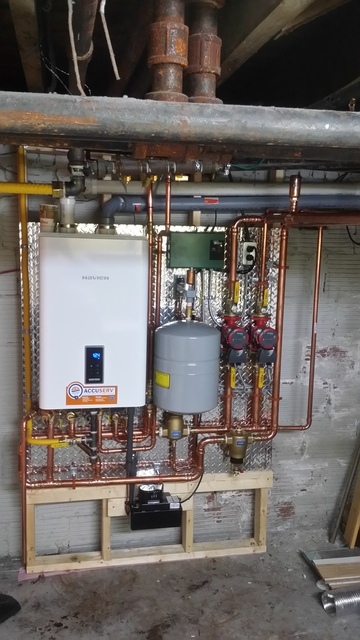 Boiler installation Toronto specialists maintain a log of their clients. Depending on their ownership, the services may vary. Free replacement and repair services are limited to the landlord. For a tenant, the same services are charged based on market rates. All these pointers ensure that the landlord and the end user understand the importance of safety standards comfortably without missing out the comfort.